Today I want to share a super quick and easy card that I created which fits in with this weeks creative challenge over on The Paper Players blog. This one was super easy to create. 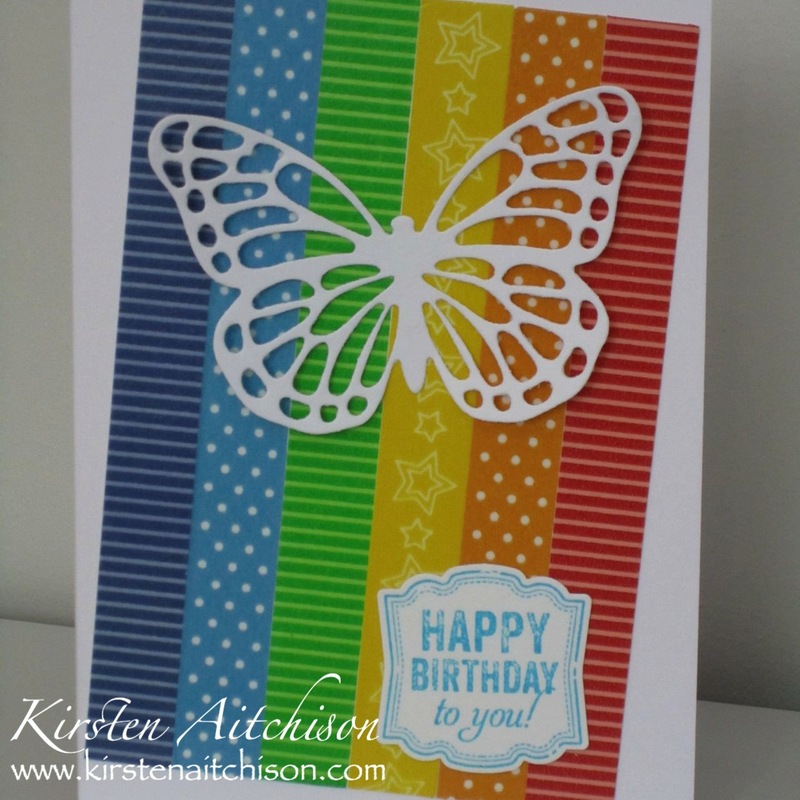 The bright rainbow background was created with washi tape. I just grabbed the bright tapes out of my washi collection and stuck them down to a piece of white cardstock, which was then stuck to my card front with double sided tape. The gorgeous butterfly was cut from white cardstock using my Big Shot and the medium sized butterfly from the Butterflies Thinlits die set from Stampin' Up! and adhered to the washi tape background with 2 small glue dots under the body of the butterfly. The sentiment used is a favourite of mine. It was stamped in Tempting Turquoise and comes from the Stampin' Up! Label Love stamp set and was punched out with the coordinating Artisan Label punch. Both of these items are sadly retired, however any shaped sentiment would work in their place. The sentiment was also adhered to the washi tape background with a glue dot. 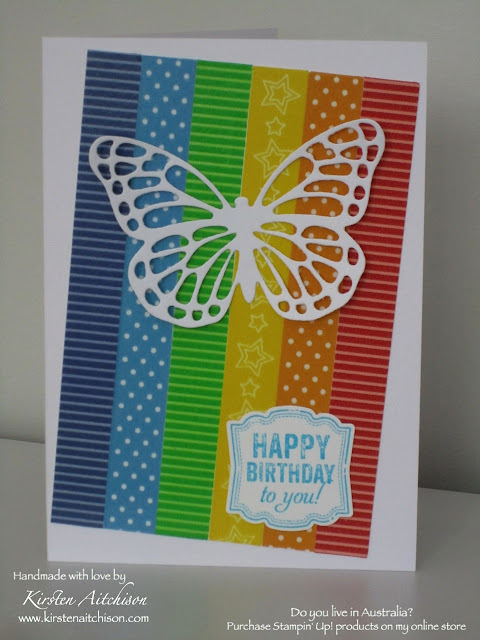 I had lots of fun creating this card and just looking at the bright colours makes me smile. I hope my card brings a smile to your face too. Thanks so much for stopping by and I hope you come back and visit me again soon. Love your rainbow of color behind the butterfly! Beautiful card! Glad you shared it at the Paper Players! Thanks Linda. I had lots of fun creating this card. This rainbow-hued creation caught my eye right away in the gallery! So pretty, and it really helps your butterfly stand out! 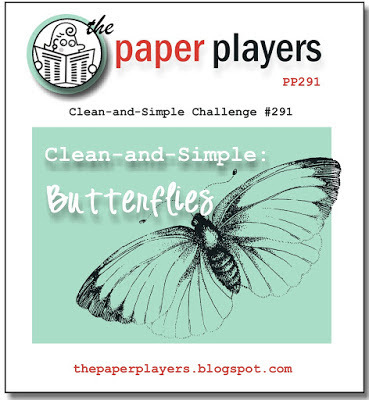 Thanks for sharing this at the Paper Players this week! Thanks LeAnne. I just love bright happy colours and butterflies, so I was excited to take part in your challenge.